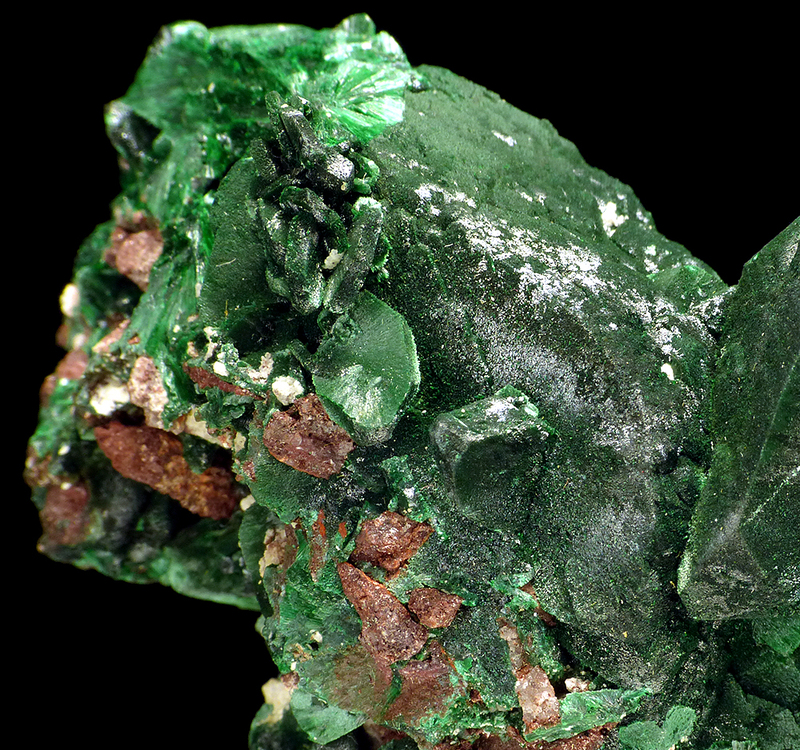 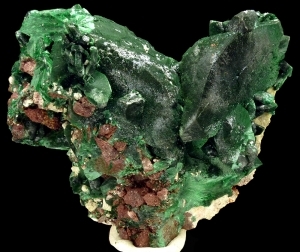 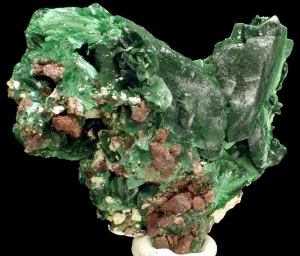 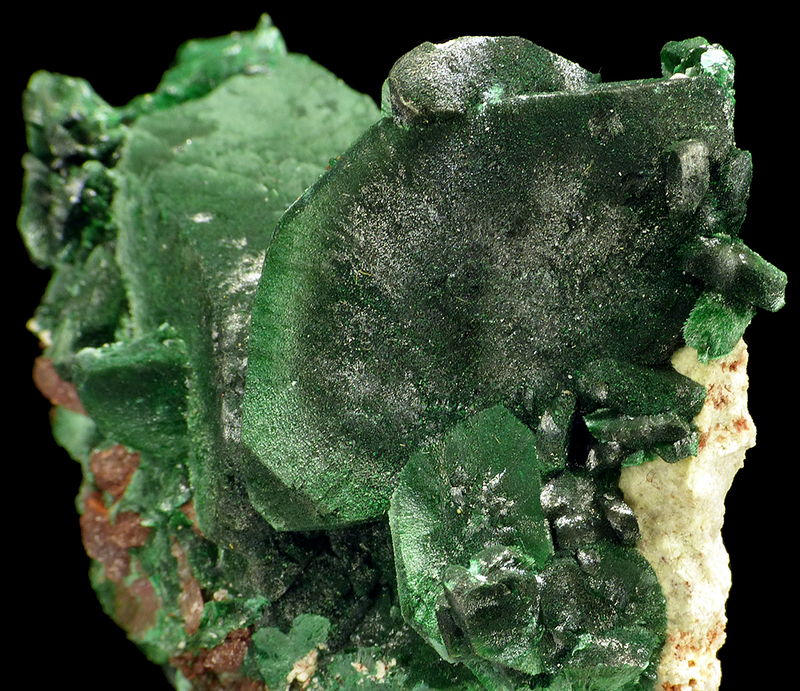 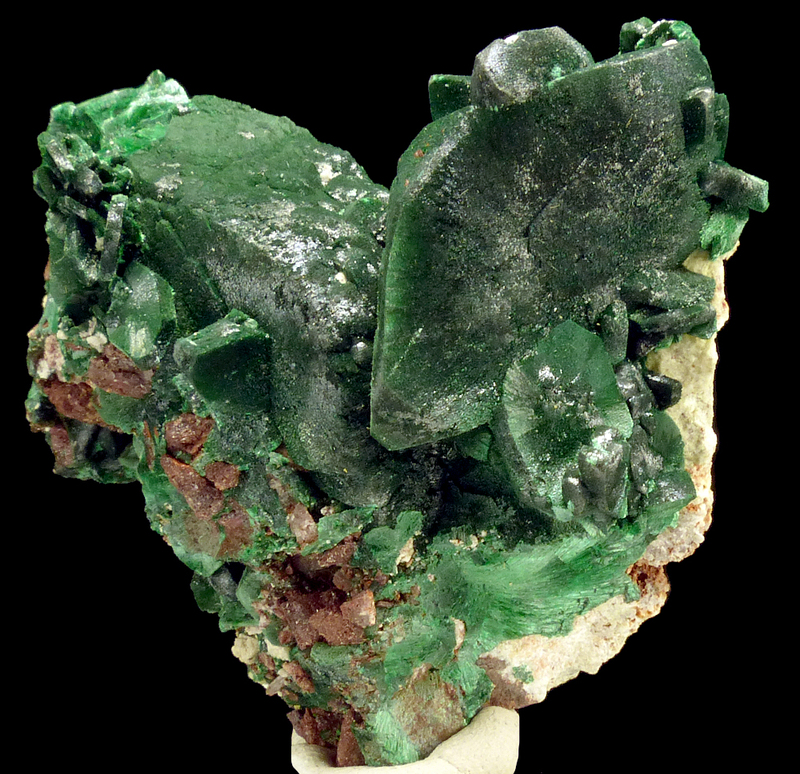 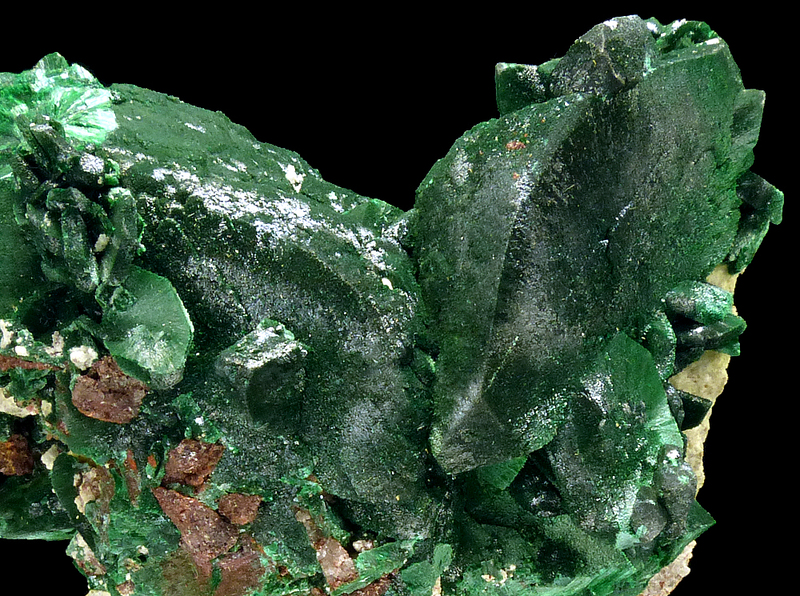 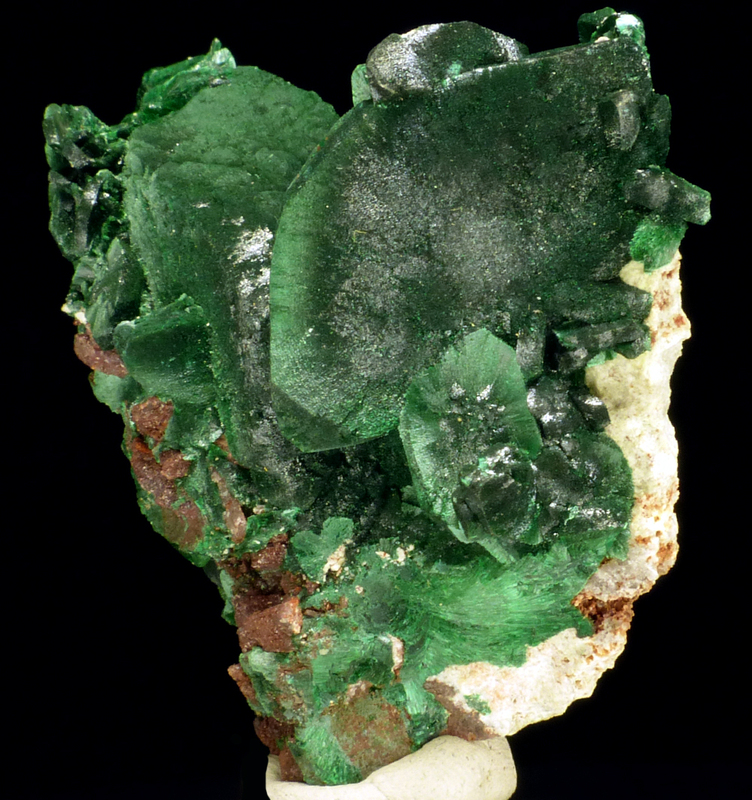 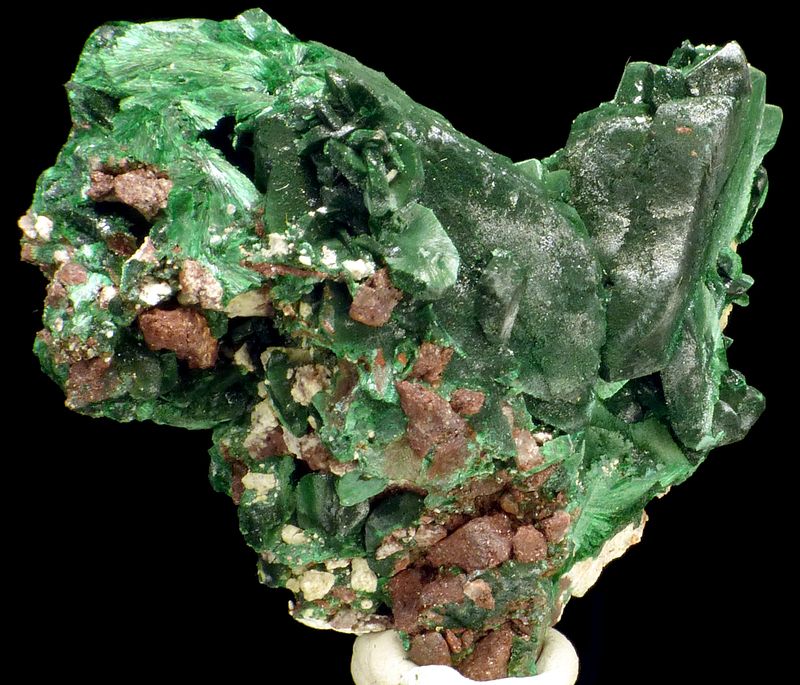 Classic specimen of malachite pseudomorph after azurite on matrix. 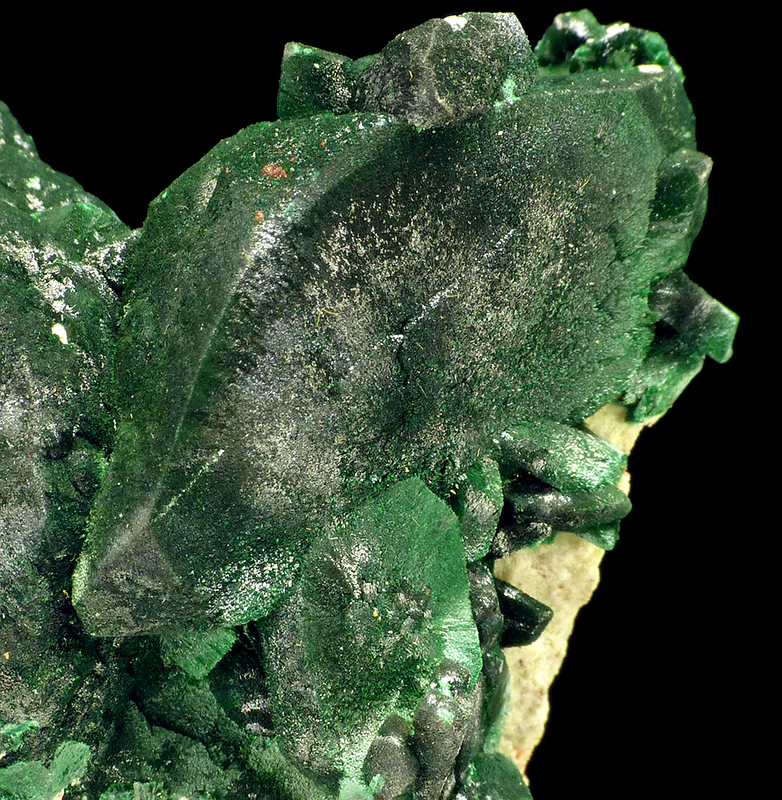 Great, sharp crystals. Good color. Satin luster.